Software failure expert witnesses render expert opinions on allegedly “failed” computer systems, software and software projects. They should have the ability to educate triers of fact and counsel about IT standards and practices, and the meaning of ambiguous contracts in the context of the IT industry. The best experts create an understandable and straight-forward narrative story that helps illuminate the pertinent facts and to analyze the root causes of project failure, including issues relating to software selection, project organization & staffing, estimation & risk management, requirements gathering, software architecture/design approaches, testing & debugging, and readiness for go-live. 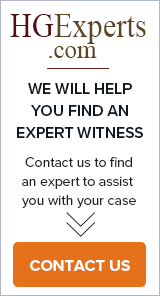 Expert Witness Technology, Indian Outsourcing, Process Improvement and Consulting. Ian Allport - Radical Software & Consulting Inc.